Clinic Synopsis: This clinic will introduce a new, practical curriculum model that focuses on the essential components of a quality inst. music education, which include the development of solid technique, the rehearsal and performance of great music, the mastery of rudimentary theory skills, exposure to the people, places, and events that shaped our art form throughout the past 2000 years, and the nurturing of essential character qualities that will help our students become good people and good musicians. 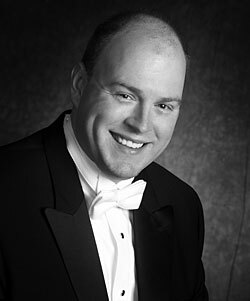 Clinician Biographical Information Eric L. Harris is associate director of bands at Tennessee Technological University. Prior to his appointment at TTU, he taught for twelve years in the public schools of Charlotte, North Carolina. He holds the B.M.E. degree from Winthrop University, and the M.M.E. and D.M.A. degrees from the University of Southern Mississippi, where he studied with Dr. Thomas V. Fraschillo. Harris is a member of the American School Band Director’s Association, CBDNA, and is an honorary member of Kappa Kappa Psi. He is the author of Fundamentals of Music Theory for the Windband Student – a three-volume music theory workbook series published by NorthLand Music Publishers. Most recently he served as a contributing writer for Teaching Music Through Performance in Beginning Band, Volume Two and the New Grove Dictionary of American Music, 2nd edition.